Celebrate the legacy. Support the future. 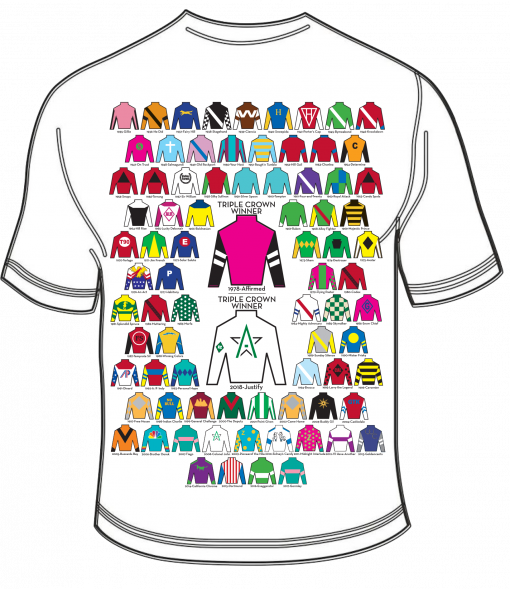 Get the 2019 Santa Anita Derby t-shirt, emblazoned with the silks of every past winner of this historic race including Triple Crown winners Affirmed and Justify. 100% of proceeds from this shirt go to the benefit of California Retirement Management Account (CARMA), supporting race horses in finding new homes and careers after the track.